Mention kulolo and immediately people’s eyes light up and they are transported to small-kid times. “I remember when Grandpa used to be in charge of making the kulolo for luaus…” my Aunty says. Kulolo is a Hawaiian desert that is made by laboriously grating taro and coconut meat and squeezing the liquid out of the coconut. Taro while raw, oozes a sap that makes you itchy, so while you grate the taro and your hands are burning, you think about all the people who are gathering for the luau and how this treat is a Hawaiian tradition. Anytime you make something with kalo (taro), it is special because it has a story. It’s a humble food that Hawaiians have eaten as part of their main diet for centuries, but it takes skill, patience and hard work to produce it. A taro plant takes about a year to mature to the point where you can harvest the root and during that year you are literally nursing your patch; cleaning the water, weeding, making sure the water is flowing, protecting it from pigs that want to eat your crop, and building mounds over the root to keep it healthy as it grows. Land is scarce in Hawaii and even scarcer are the people who build their lives around tending traditional taro patches or lo’i. 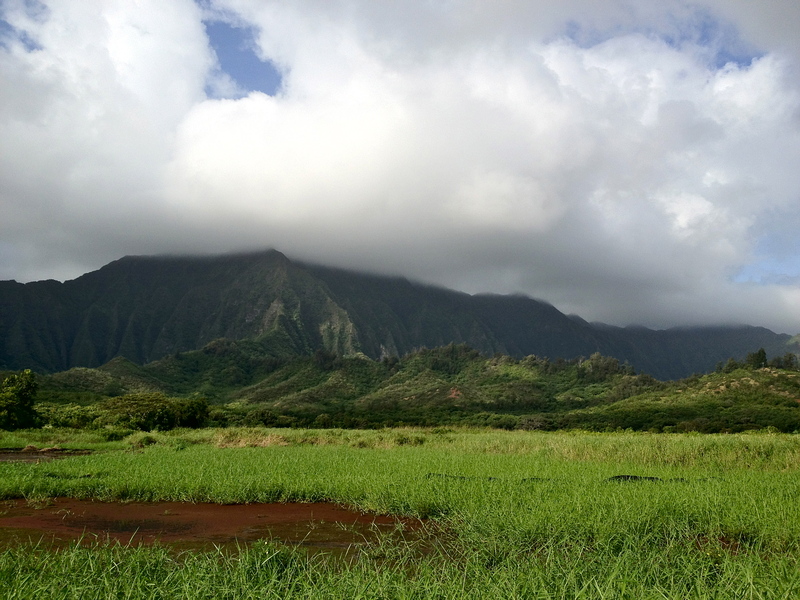 The people at Kako’o ‘Oiwi have revived a piece of land and a community in Kaneohe that was once ancient taro patches. 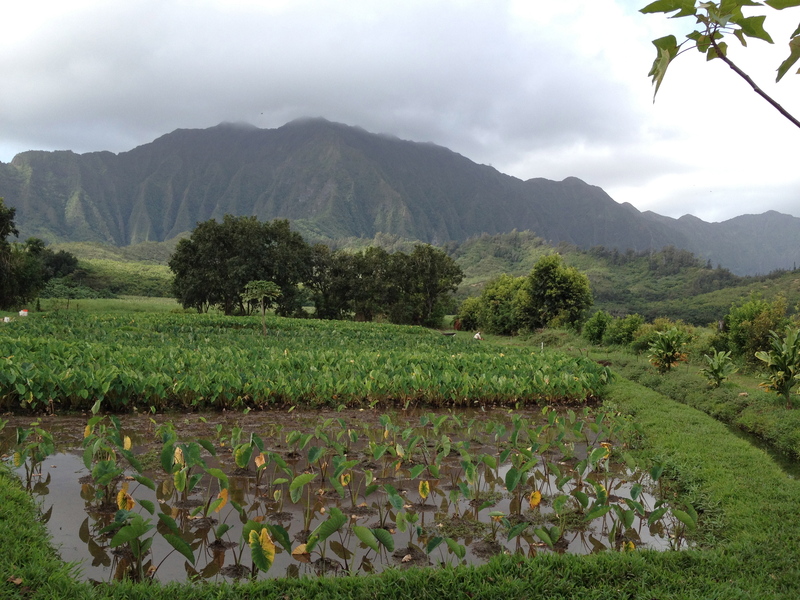 These taro patches that once fed A’li’i (royalty), were turned into rice paddies, then became overgrown with grass, then was up for possible bids to build houses, but saved by dedicated Hawaiians, now built back into a traditional taro patch. Around this patch of land stories are blooming: Liko is tending a patch that his ancestors tended. 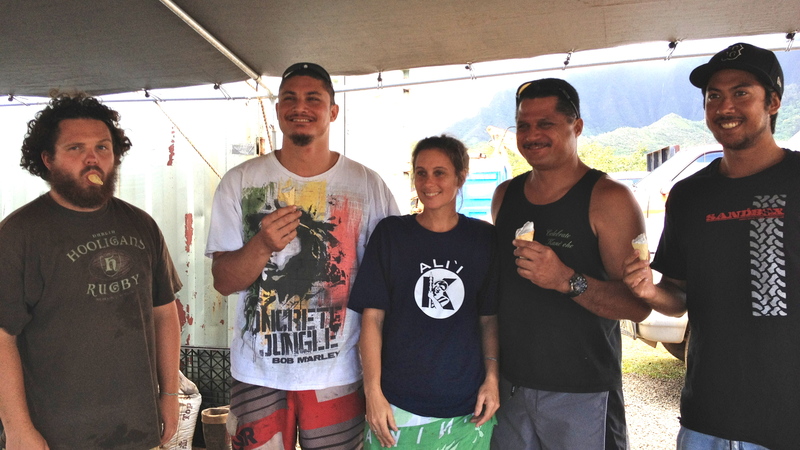 Kristi is teaching children and adults about what it means to be Hawaiian and proud of it. Kane has brought his pi’i a’li’i once only found in his taro patch on Kauai now growing in this patch that once grew thousands. And everyone is working together to produce kalo to feed their community. With a story like that, I created this kulolo gelato to express the beauty in how many hands and hearts have gone into growing this kalo. Once upon a time we made Kulolo… Aloha mai kakou! Lucky me I got to sample the Kulolo Galeto and it was the best best best galeto I have ever had. Yummmm, just thinking about it make my mouth water. It is NUMBER ONE!!!! Keep making it, forever and ever!